In this tutorial, we are going to explain how to convert/transform Image into Base64 String and convert/transform Base64 String back to Image without compromising a Image data. 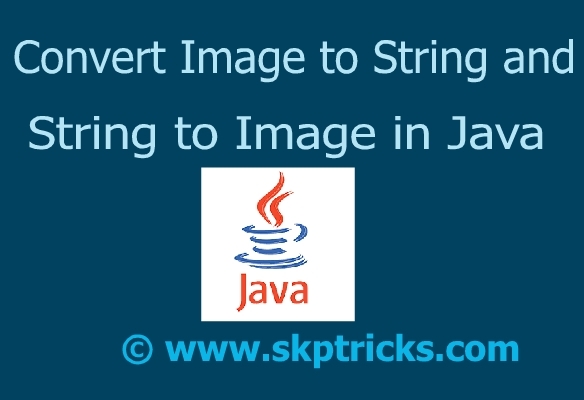 I will be using Apache Commons Codec library to achieve the ‘Convert Image to String and String to Image in Java’. Base64.encodeBase64URLSafeString – accepts byte array and converts into Base64 String. Base64.decodeBase64 – accepts Base64 String and converts into byte array. How to do step by step? During File upload – at server side application will be receiving a file data as byte stream. Reading a image file from File System as byte stream. Once we have byte array of Image file, apply below method to convert byte array into Base64 string. Here even though string is not used in URL param, consider using URL safe Base 64 string. The url-safe variation emits - and _ instead of + and / characters. 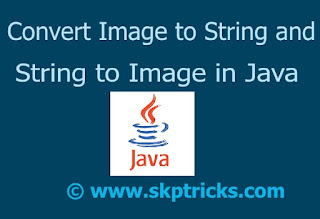 Above source code help you to Convert Image to String and String to Image in Java.